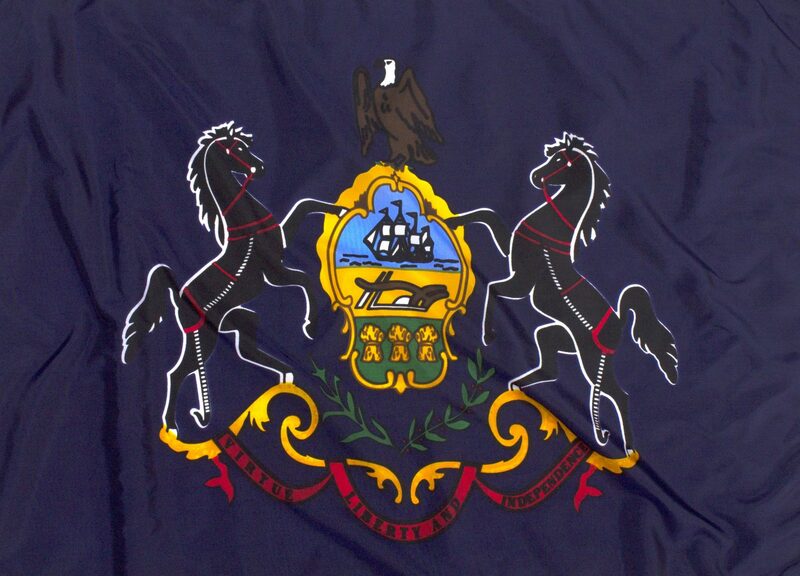 A superior quality, outdoor nylon Pennsylvania flag featuring fade resistant printing and reinforced seams. Designed for maximum beauty and durability. 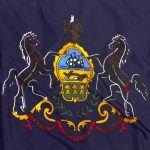 The State Flag of Pennsylvania. 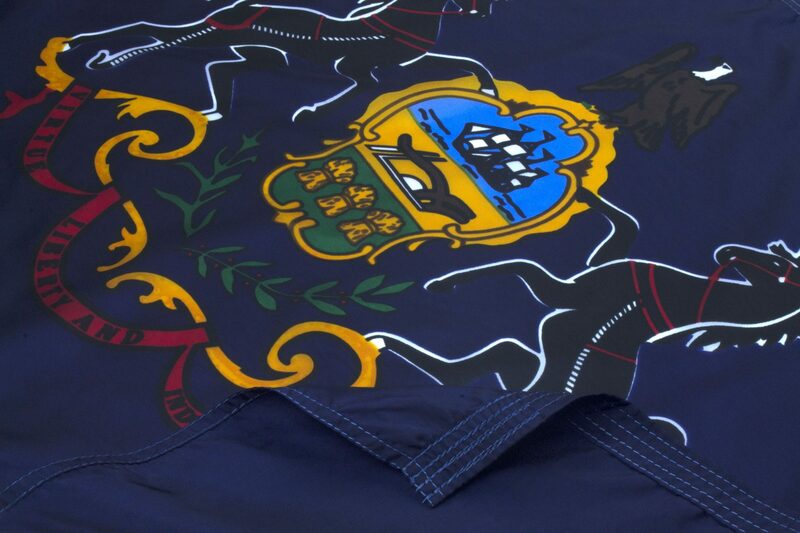 Finishing touches include a canvas header with brass grommets and a fully reinforced fly end.